A monumental flag marks the entry to Tijuana’s new El Chaparral point of entry, a gleaming new facility from which southbound drivers and pedestrians enter Mexico from the United States. The new gateway is part of an ongoing binational effort that aims to modernize and expand the infrastructure of the San Ysidro Port of Entry, the largest border crossing in the San Diego-Tijuana metropolitan region and, at more than 56 million legal border crossings per year, the busiest land border crossing in the world. Yet adjacent to this location lies one of the most striking consequences of the stringent enforcement of America’s immigration policy and of Mexico’s domestic neglect of its deported citizens. San Ysidro is the port of entry through which most deportations have taken place–as much as 20 percent over the last ten years–and the results are unequivocally visible in the surrounding urban area. Under pressure from the political right, the Obama administration has now removed more than 2 million undocumented immigrants from the United States. The administration claims to be targeting criminals and other serious offenders, but this is highly contested. A New York Times analysis found that two thirds of deportations involved individuals who “had committed minor infractions, including traffic violations, or had no criminal record at all.” The report also highlights the administration’s tendency to file charges against deportees that bar them from entering the country for five years, and threatening those caught in the U.S. again with prison sentences. 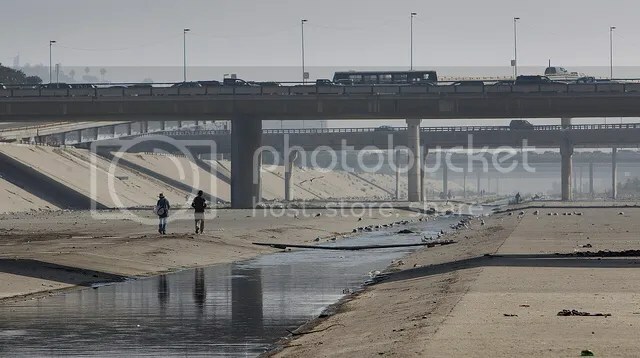 Spanish for “the edge” or “the border,” El Bordo spans two kilometers of the paved Tijuana River and is situated between the downtown area of Tijuana and the border fence of the United States. Filled with trash and flowing with sewer water, El Bordo is dotted with makeshift tents, dug-up holes and open manholes where people attempt to survive and make a living. Nicknamed “ñongos” by their inhabitants, these improvised shelters lack the most basic necessities and are usually built with the trash that’s available nearby. Although an accurate census often proves difficult given the transient status of the population involved, it is estimated that more than 4,000 people currently reside in El Bordo. A study by Tijuana’s Colegio de la Frontera Norte (COLEF) found that 72 percent of deportees living in El Bordo had previously lived in California, most of them for more than six years. Deportees often arrive with no previous knowledge of the local area and occasionally without the ability to speak the local language. With no access to the financial resources they earned in the United States and unable to contact their families, deportees suddenly find themselves in conditions of extreme poverty that render them vulnerable to the local machinations of organized crime. The harsh conditions also expose them to frequent human rights violations, often at the hands of local police. Deportees allege that they are constantly arrested or beaten for no reason and occasionally have their settlements burned.The police deny these claims but admit the periodic demolition of the shacks to clean up the paved riverbed and avoid the development of permanent settlements. They emphasize the health and crime risks posed by the deportees, many of whom were removed from American prisons, including a substantial number who have succumbed to drug addiction. The police claim that 75 percent of the crime in the surrounding area is connected to migrants, a claim rejected by COLEF. Mexico needs to accept the responsibility it has to protect and properly assist its deported citizens by developing adequate institutional solutions to deal with their transition. After all, deportees are part of the population whose remittances constituted approximately 2 percent of Mexico’s GDP at an estimated $22 billion in the last year alone. As a starting point, Mexico should coordinate with American authorities and restore deportees to their original hometown where they can access social and familial networks that can mitigate the impacts of deportation. The Mexican government also needs to provide access to official documentation as part of the repatriation process to facilitate deportees’ reinstatement into the Mexican labor force. The government should also coordinate with the United States and manage the repatriation of citizens with criminal backgrounds through domestic judicial channels. Additional resources should also be devoted to provide proper housing in sufficient quantities and to implement harm reduction strategies that tackle the rampant drug abuse among recent deportees. Without efforts by both nations to address the current deportation regime’s failures, spaces like El Bordo will continue to exist and proliferate, and deportees will remain trapped between two countries, struggling to survive in the cracks beneath the shadow of the border.